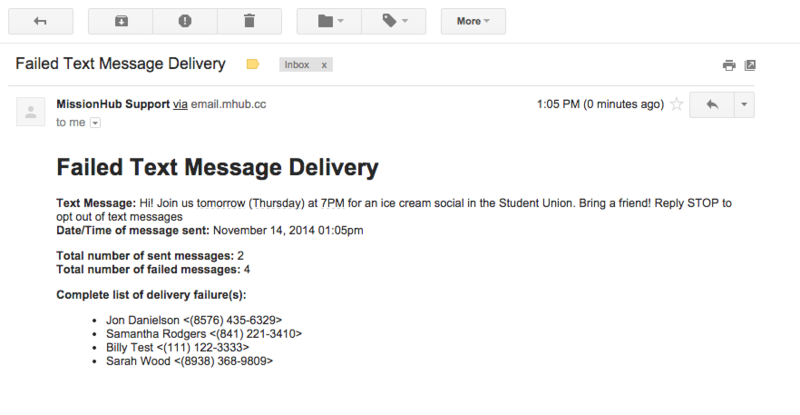 We now have an easier way to track undelivered text messages. When sending a text using the MissionHub website, you will receive an email notification with details of any failed messages. Each contact name and number that failed to send will be listed, as seen in the screenshot below. You’ll then be able to reach out to those contacts for updated information.